Every year on my radio show, without fail, for 5 years, I used to have complete 2 hour specials on Elvis and I'd make it a point to give people something different every time! That's right 10 hours and you will still have a LOT of his material that you've not heard! I had a Elvis Country Special, Rock n Roll Special, Love Songs Special, Movie Songs Special, #1s Special and shows filled with a whole lotta requests from people. And people still wanted more. I'm surprised that I've ignored him for so long here...online...on The MJ show. But no more. 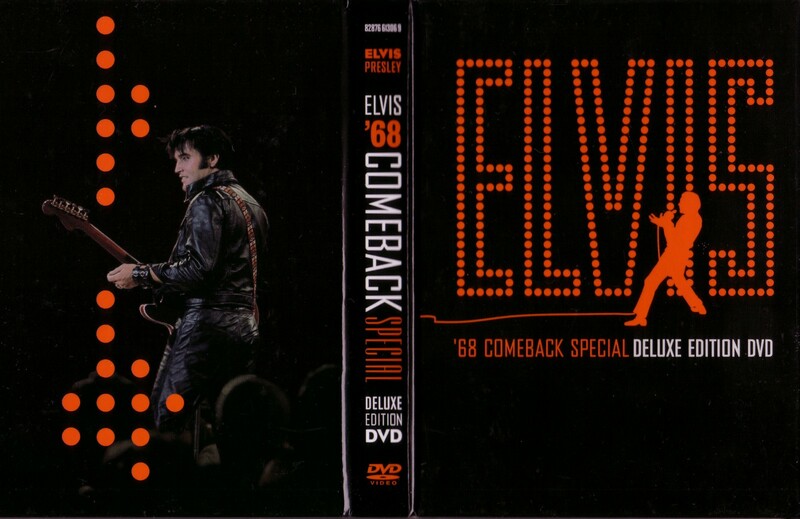 What I have for you tonight is the legendary '68 Comeback Special by Elvis. Round about December '68 Elvis had made about 29 movies and had moved away from live concerts for quite a while. His manager Col Tom Parker wanted him to make a televised Christmas special in which Elvis would sing Christmas songs and carols...but Steve Binder, the man who directed this NBC televised special wanted to do something different with Elvis. He wanted to re-establish Elvis as the incredible singer and performer that he was. He wanted to give the fans something different from the formulaic version of Elvis that they had gotten to see in his movies. What came out of this thought process and filming was this incredible, energetic, raw, unplugged concert of sorts that became what is now known as the legendary '68 Comeback Special...heralding a comeback of sorts for the great man. Why this? Why today? ... Why not! It should've been something I gave you long ago but tonight I'm more excited because I just got the Deluxe Edition 3 CD Box Set of the '68 Comeback Special and I knew that I had to share this brilliant concert with you all as well. Honestly, as far as I'm concerned, popular music as we know it today would not have existed if not for Elvis. I'm sure we would've had music but God knows what it would be if not for this man. He influenced millions when he was living and millions more after he passed away. I'm just one of those millions. I know for a fact that I first felt that I wanted to be up on a stage with a mic, sing and dancing when I saw Elvis sing live. Of course it was on tv that I saw him. I mean I wish I could have seen him live in person but unfortunately the man passed away 4 years before I was even born! That however is the power...the magic...the sheer brilliance of this man, that he is able to inspire generations way after he's gone as well. Who knows...maybe someday when I'm watching this dvd with my son or daughter, they'll see it and say "Dad! I want to be a singer...like Elvis." And I'll completely understand where they're coming from. Anyhow...:) (I digress and I get a little carried away when I talk about Elvis)...no talking tonight in between the songs. I want you to enjoy the entire concert with no commentary from me. It needs no one to tell you anything at all. Whether you've heard all these songs or not, I assure you that you'll get swept away by his charm and his voice. This is going to be a treat! This is a DVD that I highly recommend to you all. Sure you got to see the whole gig for free...but...this is just a small part of what's on this collector's Deluxe Edition Box Set. I mean it...they've got over 7 hours of material on it!! It is positively brilliant. Complete worth for your money. It is available in stores now and I think it's a must have for any Elvis fan and a great way to start if you've just started listening to him. Right then...that's all I got for you tonight!